Boston's J.D. Martinez credits two coaches with little playing experience with helping him become a force. FORT MYERS, Fla. — The phone call left J.D. Martinez conflicted. In late November, a few weeks after Martinez hoisted the World Series trophy with the Boston Red Sox, he heard from one of the men responsible for guiding him to that stage. Robert Van Scoyoc was calling to tell Martinez he had taken a job as the hitting coach of the Dodgers. The hiring of Van Scoyoc raised eyebrows because of his unorthodox background. He didn’t play baseball beyond Cuesta Community College. He has described his career as “very mediocre.” He built his resume out of a warehouse in Santa Clarita, Califirnia, where he and Wallenbrock worked with hitters such as Martinez and Dodgers utility man Chris Taylor. The winter with Van Scoyoc and Wallenbrock converted Martinez from an also-ran into a force, and he maintained close ties with his instructors as his career took off. Since 2014, when the Astros cut him and he signed with the Detroit Tigers, Martinez ranks second among his peers in slugging percentage (.586) and third in on-base plus slugging percentage (.958). He swatted 45 home runs in 2017 with the Tigers and Arizona Diamondbacks, then signed a five-year, $110 million contract with the Red Sox last winter. In his first season in Boston, Martinez galvanized a ferocious lineup and led the American League with 130 RBI and 358 total bases. 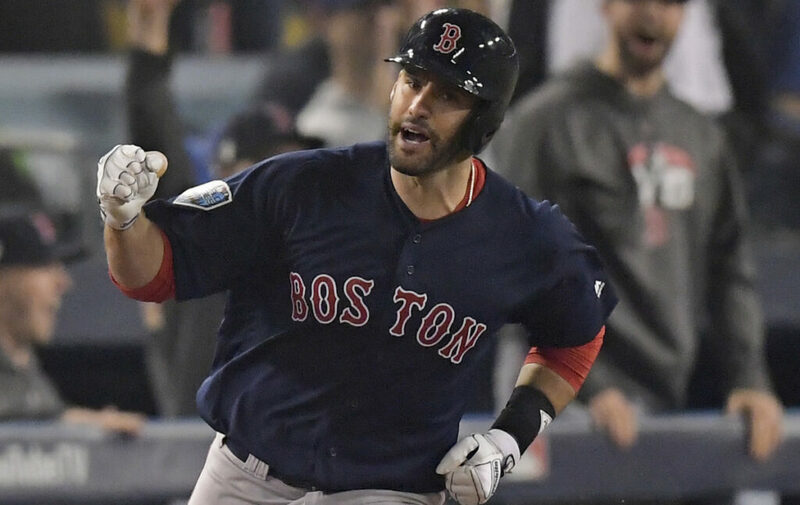 The Red Sox rampaged through a 108-win season and bludgeoned the Dodgers in five games in the World Series. The influence of Martinez extends beyond his own production. He believes the batting cage should be a scene for collaboration, where hitters trade ideas and offer tips. As a bilingual speaker, Martinez can deliver advice to the entirety of the clubhouse. He offers solutions, not dogma. In those three years with Houston, Martinez had posted a .687 OPS. That number jumped to .912 with Detroit in 2014 and, as Martinez soon became one of the game’s best hitters. As more hitters learned from Wallenbrock and Van Scoyoc, teams took notice. The Dodgers hired the duo as consultants in 2016. Van Scoyoc spent 2018 as a hitting strategist with the Diamondbacks. The Dodgers brought him back this winter to replace Turner Ward, who left to become the Cincinnati Reds hitting coach.